Well, 2nd era of Draiken was quite fun, but it is time for a new era. 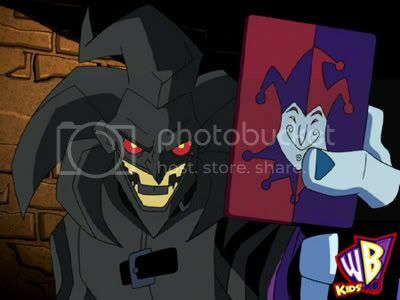 I hope that Jester will be able to start out with a clean slate with other kingdoms. This thread will serve as the new Jester Embasy for diplomatic relations. We are tightening up our acceptance policies since we now have a prety good group. If you would like to join please include the folowing in your aplication. 6. Tell a little about yourself. Good Luck to everyone next era! What world is Jester in? Fantasia.... we are ready for round II baby! Maybe that means that Jester will do especially well! An angry woman is way more ferocious and dangerous than the most murderous of men. 3 women= 3* the danger. lol, if this all is true, i guess we al better beware of those ferocious spice girls! run! hey, You leave our women alone!!!!! Hey guys. It's me Rad. Long time no see eh, hows everyone doing? Looking forward to talking to you guys again! Yeah...took a small brake from the game but now im back! ready to join back up next era? Yup, i wanted to join you guys this era (or whats left of it) but i got stuck in zeta. But as soon as we meet up again in the same world i'll join up. We have been seeing a steady decline in Jester players (21>13). As a result we are opening up our doors and welcoming any who want to to join. We are an active kingdom and we would love to teach any who are new to the game, though we wouldn't mind some vets. So, come and join this livly bunch! Wow, I was going to bump this in about a week. Who cleaned it up? Ive found next eras banner! Brannigan! your scarring away potential mates. Wow yea,mifune's pic is the best! Great Pic Mif, post the big version. Thank you Andrei! I like it too!